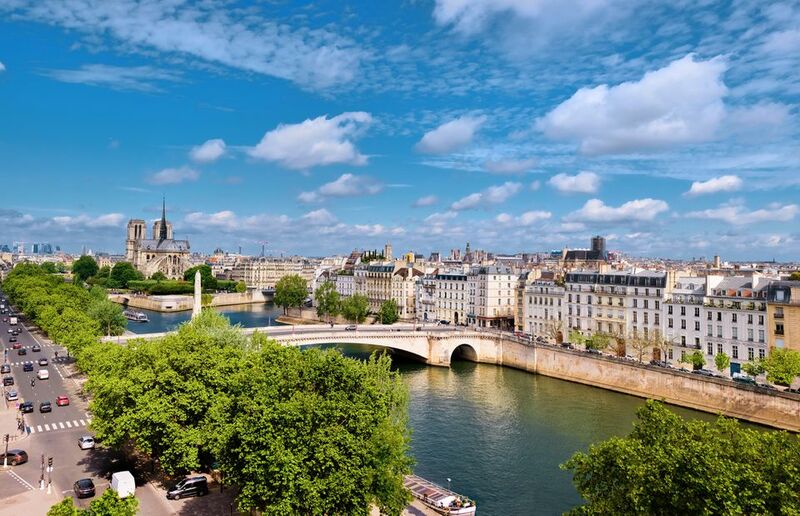 March is a wonderful but relatively laid-back time to visit Paris. High season hasn't quite started, so you'll have a bit more of the city to yourself. Locals are just starting to peep out from their warm hiding places to get out into the streets, parks and gardens on warmer days during the month. And there are some fun annual happenings to get everyone in the mood for the impending spring. Here're our picks of some of the best annual March events in Paris, from holidays to festivals. Paris has a lively Irish community, making celebrating St. Patrick's Day in Paris a fun and memorable experience. This year, enjoy everything from traditional Irish folk music concerts to nursing a good pint of Guinness at one of the city's best pubs. Dancing on tables near closing time may be common, but isn't obligatory. Even a wholesome family trip to Disneyland could be in the cards. Every March, the Paris Book Fair thrills book lovers with a full schedule of readings, book signings from beloved authors, debates and an opportunities to find the perfect new mystery or graphic novel. There's also a large section every year dedicated to books for kids and young adults, meaning your little ones will even be able to find something perfect to read, too. If you happen to be in town after the contest results are announced, make sure to beeline over to the winning bakery to have a taste of this year's perfectly crusty, chewy, grainy baguette. You can take a look at our guide to the best bakeries in Paris to get a better sense of what quality looks like — and go for a delicious self-guided tasting tour! Are you a jazz fan eager to learn more about the fascinating present-day scene in Paris? Every year from late March through April, the northern suburbs of the capital are brought to life with exciting jazz and blues performances at the Banlieue Bleues Jazz Festival. You can book tickets to see performances from both well-established artists and rising stars. One of the city's most vibrant international music events of the year, It's well worth the short trek on the metro, especially for the die-hard jazz fans among you. Another much-anticipated trade show that comes to the Paris Porte de Versailles Convention Center is the Salon du Tourisme, dedicated to tourism and travel. Anyone interested in learning more about the latest trends in adventure travel, safaris, cruises, "experiential" travel or other topics might think about taking a whirl at this giant fair for information and inspiration. Fans of documentary films should not miss out on this annual festival, held each March at the Centre Georges Pompidou Cultural Center. Enjoy movie premieres, Q&A sessions with up-and-coming and well-known documentary filmmakers, and a schedule chock-full of the most interesting new movies in the genre, selected from around the globe. Art lovers will especially appreciate this intimate fair, generally held at Paris' Carreau du Temple venue in the 3rd arrondissement, not far from the Marais and "Beaubourg" districts. Here, you can take admire around 2,000 works of drawings and illustrations from contemporary artists. If you want to get a sense of what today's artistic landscape looks like in the French capital, beeline to this unique event.